Click here to visit the official website of The Prince of Wales. While there is no formal constitutional role for the Heir to the Throne, The Prince of Wales seeks, with the support of his wife, The Duchess of Cornwall, to do all he can to make a difference for the better in the UK and internationally. The way His Royal Highness does so can be divided into three parts: undertaking official Royal duties in support of Her Majesty The Queen and on behalf of Her Majesty’s Government, working as a charitable entrepreneur, by supporting charitable and civil causes which promote positive social and environmental outcomes and promoting and protecting national traditions, virtues and excellence. The Prince of Wales, eldest son of The Queen and Prince Philip, Duke of Edinburgh, was born at Buckingham Palace at 9.14pm on 14 November 1948. 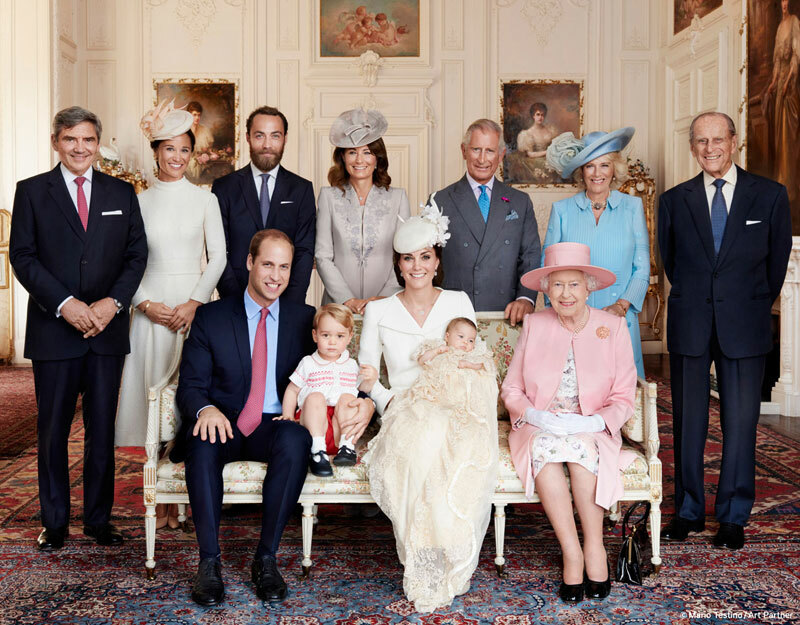 A month later, on 15 December, Charles Philip Arthur George was christened in the Music Room at Buckingham Palace, by the Archbishop of Canterbury, Dr Geoffrey Fisher. The Prince's mother was proclaimed Queen Elizabeth II at the age of 25, when her father, King George VI, died aged 56 on 6 February 1952. On The Queen's accession to the throne, Prince Charles - as the Sovereign's eldest son - became heir apparent at the age of three. The Prince was four at his mother's Coronation, in Westminster Abbey on 2 June 1953. Many who watched the Coronation have vivid memories of him seated between his widowed grandmother, now to be known as Queen Elizabeth The Queen Mother, and his aunt, Princess Margaret. The Queen and The Duke of Edinburgh decided that The Prince should go to school rather than have a tutor at the Palace. The Prince started at Hill House school in West London on 7 November 1956. After 10 months, the young Prince became a boarder at Cheam School, a preparatory school in Berkshire. In 1958, while The Prince was at Cheam, The Queen created him The Prince of Wales and Earl of Chester. The Prince was nine-years-old. His Royal Highness was invested as Prince of Wales by The Queen on 1 July 1969 in a colourful ceremony at Caernarfon Castle. Before the investiture The Prince had spent a term at the University College of Wales at Aberystwyth, learning to speak Welsh. On 11 February 1970, His Royal Highness took his seat in the House of Lords. On 8 March 1971 The Prince flew himself to Royal Air Force (RAF) Cranwell in Lincolnshire, to train as a jet pilot. At his own request, The Prince had received flying instruction from the RAF during his second year at Cambridge. The Prince qualified as a helicopter pilot in 1974 before joining 845 Naval Air Squadron, which operated from the Commando carrier HMS Hermes. On 9 February 1976, The Prince took command of the coastal minehunter HMS Bronington for his last nine months in the Navy. Click here to find out more about The Prince of Wales's military career. HRH The Duke of Rothesay, Admiral of the Fleet, Royal Navy and Commodore-in-Chief of the Royal Canadian Navy (Atlantic Fleet), joins armed service personnel from across the world at HM Naval Base Clyde to mark the start of a two week long, UK-led, Air, Land and Maritime training exercise, Joint Warrior. He's welcomed onto the flight deck of HMCS Montreal where he meets the ship's company before receiving a tour from Lieutenant Commander Monaghan. On 29 July 1981, The Prince of Wales married Lady Diana Spencer in St Paul's Cathedral, who became HRH The Princess of Wales. Lady Diana's father, then Viscount Althorp and later the eighth Earl Spencer, had been an equerry to both George VI and The Queen. Her maternal grandmother, Ruth, Lady Fermoy, was a close friend and Lady-in-Waiting to The Queen Mother. The Prince and Princess of Wales had two sons: Prince William, born on 21 June 1982; and Prince Harry, born on 15 September 1984. On 9 December 1992, The Prime Minister, John Major, announced to the House of Commons that The Prince and Princess of Wales had agreed to separate. The marriage was dissolved on 28 August 1996. The Princess was still regarded as a member of the Royal Family. She continued to live at Kensington Palace and to carry out her public work for a number of charities. The Prince of Wales asked the media to respect his sons' privacy, to allow them to lead a normal school life. In the following years, Princes William and Harry, who are now second and fifth in line to the throne, accompanied their father on a limited number of official engagements in the UK and abroad. On 9 April 2005, The Prince of Wales and Mrs Parker Bowles were married in a civil ceremony at the Guildhall, Windsor. After the wedding, Mrs Parker Bowles became known as HRH The Duchess of Cornwall. To find out more about The Prince of Wales and The Duchess of Cornwall, visit their official website here. For more than 40 years The Prince of Wales has been a leader in identifying charitable need and setting up and driving forward charities to meet it. Through the years, His Royal Highness has developed a wide range of interests which are today reflected in The Prince's Charities, a group of not-for-profit organisations of which The Prince of Wales is Patron or President. The organisations are active across a broad range of areas including education and young people, environmental sustainability, the built environment, responsible business and enterprise. The charities reflect The Prince of Wales's long-term and innovative perspective, and seek to address areas of previously unmet need. As well as The Prince's Charities, The Prince also founded The Prince of Wales's Charitable Foundation in 1979. 1. a grant making body that supports a wide range of causes, the primary areas of interest being the built environment, responsible business and enterprise, young people and education, and global sustainability. 2. An incubator for initiatives and projects that fall within the Charitable Foundation’s primary areas of interest, mentioned above, such as Accounting for Sustainability. Find out more about the Charitable Foundation and The Prince’s charitable work. The private pursuits and interests of The Prince of Wales are as varied as his concerns - like the welfare of young people and the disadvantaged, music and the arts, the quality of our built environment and sustainability - to which he devotes his public life. The Prince is a keen watercolourist and paints whenever his schedule allows. Lithographs of his paintings are sold and all proceeds go to The Prince of Wales's Charitable Foundation. Wishing you all a very happy #BurnsNight! To celebrate, we’re sharing a watercolour, painted by The Prince of Wales, featuring the Scottish Royal residence, Balmoral Castle. You can also listen to a recording of HRH reading one of his favourite Robert Burns poems, 'My Heart's in the Highlands', by following the link in our bio. His Royal Highness enjoys gardening, especially in his organic garden at Highgrove. A keen advocate of traditional rural skills, The Prince enjoys hedgelaying and has hosted the National Hedgelaying Championships at Home Farm. He has also laid many of the hedges on Home Farm himself. In pursuing some of his interests, The Prince is able to give support to organisations in the worlds of art, music and theatre - as he does in many other fields - through becoming Patron or President. Over the years His Royal Highness has taken part in many different sports including horse racing, scuba diving and sailing. Up until November 2005 The Prince raised money for charity by playing polo. He decided to retire from the game after playing it for over 40 years. To find out more about The Prince of Wales, visit his official website here. While there is no established constitutional role for The Heir to the Throne, The Prince seeks, with the support of his wife The Duchess of Cornwall, to do all he can to make a difference for the better in the United Kingdom and internationally. This involves Their Royal Highnesses supporting The Queen in her role as a focal point for national pride, unity and allegiance and in bringing people together across all sections of society, representing stability and continuity, highlighting achievement, and emphasising the importance of service and the voluntary sector by encouragement and example. Inspired by HRH’s values of harmony and sustainability, The Prince of Wales's charities work to transform lives and build sustainable communities. For over 40 years His Royal Highness The Prince of Wales has been a leader in identifying charitable need and setting up and driving forward charities to meet it. The Prince of Wales carries out dozens of engagements every year in support of his charities. Collectively The Prince of Wales's charities raise more than £100 million annually to support The Prince of Wales's charitable work in the UK and overseas. The Prince of Wales, together with his wife The Duchess of Cornwall, seeks to promote and protect, through their work, the country’s enduring traditions, virtues and excellence. Among other things, His Royal Highness’s work involves highlighting achievements or issues that, without his support, might otherwise receive little exposure, supporting Britain’s rural communities, encouraging sustainable farming, and promoting tolerance and greater understanding between different faiths and communities. The Prince of Wales and The Duchess of Cornwall are among the United Kingdom's most important ambassadors. Every year, Their Royal Highnesses travel abroad at the request of the British Government to further British diplomatic interests, raise the UK’s profile in the country visited and promote British excellence. It has been a wonderful three days for The Prince and The Duchess on the #RoyalVisitGreece. Thank you for the warm welcome 🇬🇷 Ήταν τρεις καταπληκτικές ημέρες στην Ελλάδα στο πλαίσιο της επίσημης επίσκεψης. Σας ευχαριστούμε πολύ! These overseas visits enable The Prince to familiarise himself with a wide range of international issues and to meet many Heads of State and senior officials. His Royal Highness often represents The Queen at overseas events, such as state funerals. The Prince tries to find ways for The Prince’s Charities, most of which His Royal Highness has established himself, to work for the benefit of the international community and often visits projects set up by his own charities during overseas visits. For example, The Prince has recently set up Prince’s Trust International. His Royal Highness has visited 44 of 53 Commonwealth countries to date, many of them on several occasions. Her Royal Highness The Duchess of Cornwall has accompanied The Prince on the majority of Commonwealth visits since their marriage in 2005. Their Royal Highnesses will be visiting Croatia, Serbia, Montenegro and Kosovo in March on behalf of Her Majesty’s Government. The Prince of Wales and The Duchess of Cornwall are visiting the region to celebrate peace, reconciliation, youth empowerment and restoration. This photo was taken during The Prince’s first official visit in 1978 and he’ll be returning this March for his ninth visit to the region. You can find out more about the engagements Their Royal Highnesses are undertaking and further details about the tour by following the link in our bio.